In the last installment of ‘What Reinventors Know’, we explored how enterprises are leveraging AI and the IoT to uncover new opportunities. This week, it’s all about the people. Collaboration is key to successful digital reinvention, and Reinventors know it. So here’s a spotlight on how successful enterprises are innovating through collaboration – with partners, customers, colleagues…and even competitors. Digital reinvention promises some serious benefits. Deeper relationships with customers resulting from more valuable customer experiences. Streamlined and effective operations driven by data insights. Reduced costs and heightened revenues. The good news is that it’s all possible. However, you won’t get there on your own. You need a team to support you in your vision. And you need to be willing to support them too. Its all about your ecosystem. Let’s look at who you’ll need on your team. Successful enterprises are great at meeting their customers’ needs and exceeding their expectations. According to the IBV’s Global C-suite study, Reinventors are making a significant effort to get to know their customers. They are looking closely at available customer data to identify their needs, and to understand how competitors are responding to them. 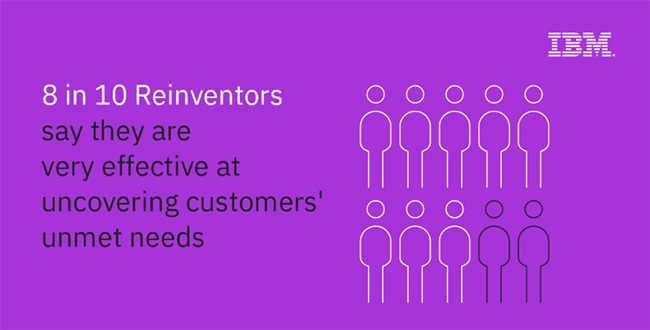 Better yet, Reinventors are using data to offer first-of-a-kind solution to anticipate previously unmet customer wants. Learning from customers doesn’t stop at data. There’s a lot of value in face-to-face conversations, too. 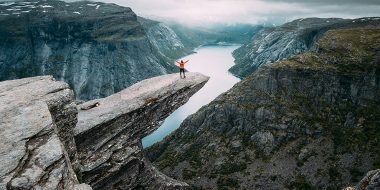 Reinventors are proactively approaching customers to ask for their perspective on new products, services or experiences. What’s more, Reinventors are significantly better at pulling that data through their value chain – into customer care and field support. Customers will appreciate the opportunity for open dialogue and the chance for their views to be heard. They say two heads are better than one, and that certainly applies to business partners. By working with partners, enterprises can modernize and diversify their capabilities. They can share experiences, knowledge and skills to mutually enable one another. By finding the right network of partners, businesses can forge lasting and valuable relationships built on trust and joint vision. Importantly, they are sharing data and insights and that provides a much more complete basis for making better decisions. According to the C-suite study, 75% of Reinventors are already doing this, and seeing the benefits. There’s a time for jealously shielding trade secrets, but there’s also a time to let your guard down. It may be surprising, but Reinventors occasionally choose to cooperate with their rivals. In some instances, working with competitors can open the way to a joint market offering, and even create a new customer base. Enabling access to IP and resources through joint ventures is a solid approach to gaining talent and expertise to fill portfolio gaps. Last but definitely not least, there are your colleagues and employees. Reinventors promote an inclusive working culture that prioritizes knowledge sharing and openness over a competitive atmosphere. With global enterprises, it’s important to understand the solution to a problem in Europe might be in the head of team member in Japan. Employees that are fully aware of and included in a company’s mission are better able to share and support it. So encourage your home team. Encouraging fast failure as a consequence of experimentation. 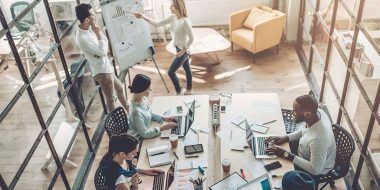 If employees know that trial and error is permissible, they will have the courage to innovate, and enjoy the collaborative support that comes from an open working culture. It’s important to identify partners who share your values and vision for the future. At IBM, we’re firm believers in the power of collaboration and partnership. It’s why we opened our Watson IoT headquarters, the Munich-based ‘collaboratory’ in 2017. And it’s a significant driving force behind our landmark conference, Think 2018, taking place in Las Vegas from 19-22 March. Join us at Think for the chance to meet and work with 40,000 clients, partners and innovators from all over the world. You can meet the Reinventors too, and continue your Digital Reinvention journey with the help of IBM. If you missed our first installment you can find it here: ‘What Reinventors Know: Realizing the full potential of IoT with Artificial Intelligence.’ Next time, we examine the importance of a robust IoT platform to help achieve your digital reinvention journey.